Oficial video EDF2015 available here. EDF2015 Final Report available here. Don't Miss the video of: European Data Innovator Award 2015 of François Bancilhon, available here. Download: The detailed 32 page Programme of EDF2015. The European Data Forum (EDF) 2015 took place on November 16-17, 2015 in Luxembourg, a country full of attractions and contrasts, where tradition and modernity coincide harmoniously. Technological and social innovation combined with fast and flexible responses are the key to the Grand Duchy’s advance on the international stage. 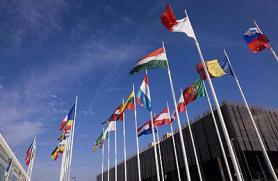 This richly diverse country is often referred to as a microcosm of the European Union. As a founding member, it successfully unites multiculturalism and linguistic diversity with political stability and economic prosperity. Luxembourg’s central geographical location, its advanced transportation and impressive logistics and IT networks as well as its skilled and multilingual workforce have made the country a thriving business location. Due to its exceptional skill to regenerate over the last decades, Luxembourg prospers today from the talent of its people, their ability to innovate. Breadth of mind and innovation is what has brought the country forward allowing it to play a key role in the global league of pioneers. Luxembourg’s prosperity comes from within, building on its people and companies. Source: www.promoteluxembourg.com. For further information, please visit: www.lcto.lu. 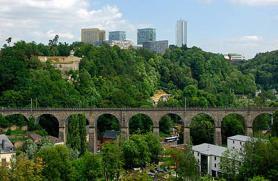 The Grand Duchy of Luxembourg is located at the very heart of Europe. It is one of the smallest countries in Europe with around 550,000 inhabitants, more than 40% of which are immigrants from 160 countries. Luxembourg is known to be the European Business Hub, a unique gateway to access European markets, do business and to live in an attractive and secure place. Luxembourg is one of the founding states of the European Union and is well described with the following few words: small, open, multicultural, diversified, stable, and connected. Visitors are always enthusiastic by the picturesque Old Town and the attractive cultural agenda: theatre and concerts, museums and exhibitions, sightseeing, architecture, sports, shopping, wines, beers and excellent food. For further information, please visit www.lcto.lu. EDF2015 - Satelite events: still possible to register! Download the Invitation email here.